The Great War Exhibition is starting to come together. 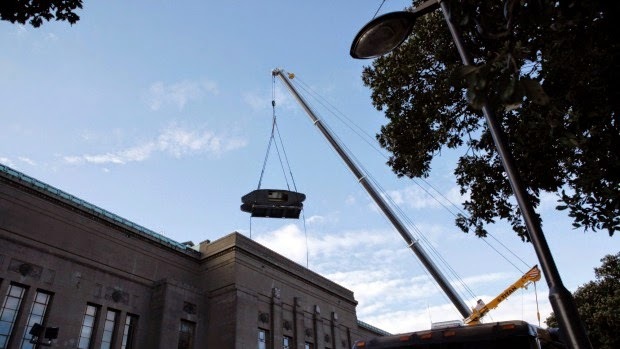 On Sunday one of New Zealand’s biggest cranes made its way to the front of Wellington’s historic Dominion Museum to help shift the heaviest and largest pieces of the exhibition into place. That rhomboid shape being lifted over the roof is pretty familiar. Of course, our contribution is much smaller - we won't need a crane to lift in our 54mm figures! See more in this article on Stuff. Also see the Ministry for Culture and Heritage website for other pictures.